This project will see an entirely Direct Current (DC) microgrid system installed at the University of Toronto in Toronto, Ontario, Canada. The microgrid will provide the University with power resiliency, will reduce electricity costs, and will enable new cutting-edge research at the University. When reviewing the available technologies that could potentially meet the University’s requirements for the project, WorleyParsons’ Smart & Distributed Energy team identified ARDA Power as the clear leader in the field for Direct Current microgrid systems of this size and functionality. The microgrid will couple energy supplied by the grid and rooftop solar power with a lithium-ion battery and DC loads. The University of Toronto laboratory will use the microgrid system to develop and test new energy management software for various approaches to Electric Vehicle (EV) charging. “This project is the first of its’ kind in the university research setting and is attributable to the vision of the University of Toronto and the unique microgrid technology provided for the project by ARDA Power,” said Michael Cantin, Vice President of Operations, WorleyParsons. “For WorleyParsons, this contract adds to our list of projects in the renewable energy space which are helping our customers to meet the world’s changing resource and energy needs,” added Cantin. The WorleyParsons project team will include highly skilled subject matter experts, including Director of Smart & Distributed Energy, Tristan Jackson, and Director of Engineering, Hariharan Viswanathan. About WorleyParsons: WorleyParsons delivers projects, provides expertise in engineering, procurement and construction and offers a wide range of consulting and advisory services. We cover the full lifecycle, from creating new assets to sustaining and enhancing operating assets, in the power, hydrocarbons, mineral, metals, chemicals and infrastructure sectors. Our resources and energy are focused on responding to and meeting the needs of our customers over the long term and thereby creating value for our shareholders. 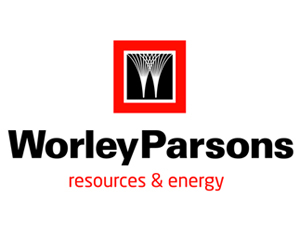 WorleyParsons is listed on the Australian Securities Exchange [ASX: WOR]. Follow us on Facebook, Twitter, LinkedIn and YouTube.